FDA warning on NSAID drug risk – choose a natural option to avoid heart attack, stroke & death. https://naturesnurse.co.nz/wp-content/uploads/2015/03/family_beach.jpg 530 1488 Kim Davies-Haycock http://naturesnurse.co.nz/wp-content/uploads/2015/09/NN-spot-ol-logo.png Kim Davies-Haycock2016-07-11 17:42:092017-02-16 15:09:10FDA warning on NSAID drug risk - choose a natural option to avoid heart attack, stroke & death. Nature’s Nurse founder Kim Davies-Haycock has been interested in herbal medicine for as long as she can remember. After gaining a business degree and working in the corporate world, Kim retrained to follow her herbal products passion. 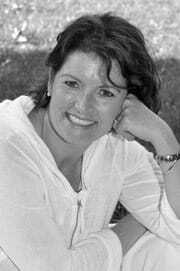 She studied Herbal Medicine and Aromatherapy at Wellpark College of Natural Medicine in Auckland, New Zealand, fitting study in around her full time job and raising her young family. Working with expert natural chemists, and choosing innovative ingredients, Kim created prototypes, testing them on friends and family. The feedback was fantastic so the seeds for Nature’s Nurse business were planted: 100% natural remedies in effective safe and pleasant to use creams, shampoos and lotions, to help with everyday health and wellness issues. The name “Nature’s Nurse” captures everything Kim wants the company to stand for – natural, effective, helpful and caring. The first product developed was a Rapid Recovery for Sports Injury – a cooling herbal muscle rub to help soothe aches and pains from sports, giving natural pain relief, with high levels of fast acting herbal anti-inflammatory and repairing ingredients. Initially testing was on Kim’s husband and his running friends who were training for marathons and tough endurance events -with huge success in reducing pain and speeding up recovery. They loved how fast it worked and how versatile it was – they could use it before their race to improve warm up and afterwards to reduce DOM’s & treat pain and injury. The following months saw the birth of Kim’s third child and the development of a safe, gentler version of Rapid Recovery Rub to help with the common problem of hip and back pain in pregnancy & bumps and bruises of childhood. Rapid Recovery Herbal Family Rub. It has the same fast acting pain relieving benefits, enhanced by a unique medicinal Lavender Essential Oil – ideal for pregnant women, young children, those with sensitive skin and arthritic joints of the elderly. Kim’s research into the chemicals used in pharmaceutical products continues to shock her. The common NSAID drugs used in pharmaceutical rub products are known to cause heart attacks, strokes and death – even for infrequent users, or those without pre-existing heart conditions. The most common pesticides in lice treatments are serious nerve poisons and suspected carcinogens, as well as being almost completely ineffective due to widespread headlice chemical resistance. Nature’s Nurse range is the natural answer to nursing yourself & your family better – it overcomes all the problems of pharmaceutical products in natural, effective, easy to use & safe ways. It is sold direct to you on line and stocked in natural health stores, physiotherapists, osteopaths, selected pharmacies & supermarkets throughout New Zealand. Nature’s Nurse products are loved by all who use them, providing effective, natural easy to use options. Nature’s Nurse remains committed to excellent quality & effective natural remedies along with sustainable & eco-friendly principles, supported by a small dedicated team. 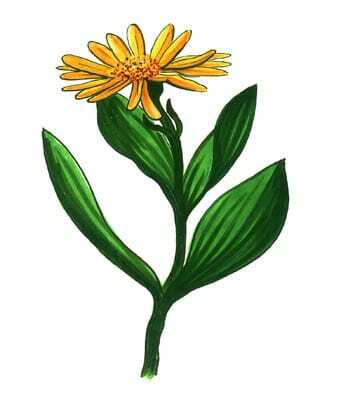 Arnica Montana Flower Extract: Highly anti-inflammatory – helps rapid healing of bruises, swelling, aches & strains. Arnica is a very well researched herbal extract with significant benefits. We use the hydro-alcoholic extract which contains the unique, effective anti-inflammatory phyto-chemical “Helenalin”. Other muscle rubs which use Arnica infused oil or homeopathic extracts which don’t contain this key anti-inflammatory plant chemical. NB: For a very low fraction of people a low level skin reaction such as tiny red bumps or itching may occur. If this occurs discontinue use. If you have any concerns, we recommend you patch test on the skin of your inner wrist. A slight reddening of very fragile skin on bruised area can occur as the healing process begins– this is normal as more blood flows to the area. Avoid using any Arnica product immediately prior to surgery –due to increased blood flow. Be aware of changes & seek advice from your medical practitioner in bleeding and bruising if using blood thinners such as Warfarin. Methyl Sulfonyl methane (MSM) – Fast acting natural pain relieving mineral. Fast acting & long lasting – relief felt in around 4 minutes – will last for about 4 hours. Also helps increase absorption of active herbal ingredients. Very well regarded for Arthritis sufferers. The mineral MSM is found in many leafy plants & vegetables, including pine bark, and is a highly bio-available form of sulphur, a vital mineral used by our bodies for repair and to block pain messages. Sourced from the most pure triple distilled supplier, registered as GRAS (generally regarded as safe) by the US FDA. 56 naturally occurring minerals and trace elements essential to good health – provides the building blocks to assist the body in joint & muscle repair. 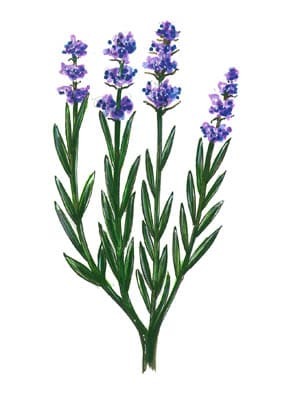 Lavender (Lavandula Angustifolia) Flower, essential oil, certified organic. A gentle soothing therapeutic aroma, promotes rapid healing and helps soothe nerves & reduce stress. 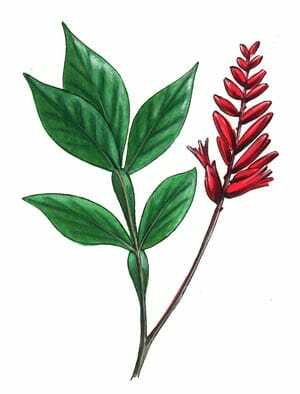 Known to be anti-inflammatory & emotionally soothing & calming, useful in easing muscle pain, for headaches and insomnia. The essential oil we use is a newly discovered chemotype –found only in New Zealand, which is shown to have the highest ever levels of therapeutic constituents, and the lowest level of aggravating chemicals. It is considered to be truly hypoallergenic and therapeutic. Safe for use on fragile skins and considered safe for use in pregnancy and breastfeeding. It also has a beautiful calming aroma. We do not use these non-medicinal types of Lavender oils. Macadamia Ternifolia Nut Oil -a nourishing quickly absorbed oil which helps deliver active ingredients to areas of treatment. Our products are made from sustainably sourced, 100% natural highly ethical suppliers, and created in New Zealand in a TGA registered, Natrue/BioGro certified manufacturing facility, with strict GMP and ISO processes in place. 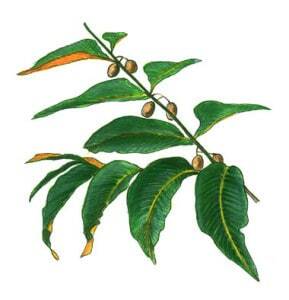 Well known ancient Indian tree, known in India as the “Village Pharmacy”. A broad spectrum fast acting, botanical insecticide. Long history of effective human use. This leaf extract is low odour. Affects head lice upto 25 different ways-including paralysis, disrupting vital hormones, stopping moulting, feeding and laying eggs. Sustainably sourced from India’s pre-eminent medicinal herbal ingredient FDA Approved supplier who holds many thousands of patents on medicinal herbal extracts, and commits a significant resource into herbal ingredient research. Contains a bitter chemical called quassin – 200x more bitter than quinine. Selected for botanical insecticidal properties, proven in clinical testing at 99% effectiveness against headlice. Breaks the lice life cycle by breaking glue that sticks the nit egg to hair, allowing the nit egg to be easily combed out while hair is wet. 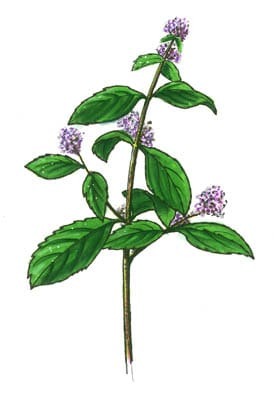 Extracted in oil, helps heal lice bite wounds in the scalp, and has head lice deterring properties. Sourced from NZ’s highest quality herbal medicine ingredient supplier with TGA/ISO policies in place. A cooling therapeutic essential oil with a fresh uplifting aroma. Helps deter head lice & reduce itching due to head lice bites. Cleansing agents derived from sugar cane, cornstarch and coconut oil. Known to be mild and non-irritating. Hydrolyzed Wheat Protein – Helps repair and strengthen hair. Helps replace oils washed from the hair. Leaves hair moisturised, glossy and supple. From sunflower oil and coconut. Cleansing agent derived from sugar cane & coconut. Mild and non-irritating. Helps to naturally thicken, emulsify and stabilize products. A plant derived gum produced from a fermentation process on corn sugars. Manuka (Leptospermum scoparium) Essential oil, anti-microbial and immunostimulant properties, Australian tea tree (Melaleuca alternifolia) Essential oil, anti-septic properties. Highly anti-inflammatory – helps rapidly healing of bruises, swelling, aches & strains. In warm –up: Helps increase the blood flow to muscles getting them ready to work more rapidly. After sports recovery: Helps reduce muscular swelling, especially the micro swelling in muscle fibre bundles which cause DOMS effect. Sport Injury: Significantly reduces bruising & swelling. Helps speed rate of healing & recovery from injuries, improves your immune response. Arnica is a very well researched herbal extract with significant benefits. We use the phyto-medicinal hydro-alcoholic extract which contains the unique, effective anti-inflammatory chemical “Helenalin”. 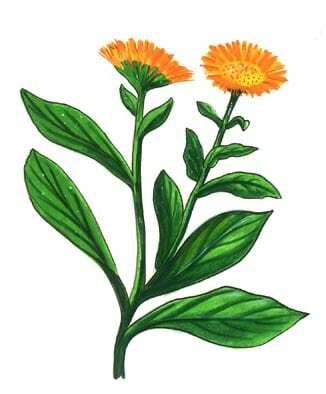 Other muscle rubs which use Arnica infused oil or homeopathic extracts which don’t contain this key anti-inflammatory plant chemical. NB: For a very low % of people, Arnica can cause some low level skin reactions such as tiny red bumps or itching. If this occurs discontinue use. If you have any concerns, we recommend you patch test on the skin of your inner wrist. A slight reddening of very fragile skin on bruised area can occur as the healing process begins– this is normal. Avoid using any Arnica product immediately prior to surgery –due to increased blood flow. Natural pain relieving mineral. Fast acting & long lasting – relief felt in around 4 minutes – will last for about 4 hours. Also helps increase absorption of active herbal ingredients. Helps with warm –up improves ligament stretch & pliability. The mineral MSM is found in many leafy plants & vegetables, including pine bark, and is a highly bio-available form of sulphur, a vital mineral found in all the cells of our body & used by our bodies for repair and to block pain messages. Extract of herbal leaf, assists with bruise, strain and injury recovery, helps strengthen ligaments. 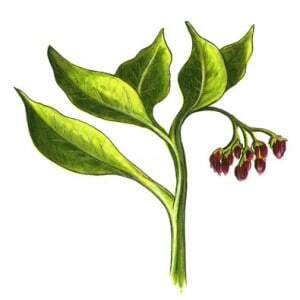 Clinical research shows Comfrey leaf increases blood flow to ligaments and tendons and improves the rate of healing. Especially beneficial for microscopic tears often found in ligaments and tendons due to high impact sports or overuse conditions. This ligament repair happens because Comfrey leaf is high in the plant chemical allantoin which is specific for scar tissue. Particularly useful in tight, painful and hard to heal ligament/tendonitis conditions such as found in Achilles heel, the plantar ligament of the foot and ITB band – all common problems in active sports people. Leaf Essential Oil – USP therapeutic grade. Helps cool hot, tired, or injured muscles. Fresh uplifting aroma. Persea Gratissima (Avocado)Oil-nourishing balancing oil, a source of Vitamins A, D & E.
Cetearyl wheat straw glycosides & Cetearyl alcohol– Natural mild plant emulsifiers extracted from wheat & coconut. Vegetable Glycerine – provides excellent hydration to the skin. Tocopherol – natural Vitamin E, known for strong anti-oxidant capabilities. Neutralizes free radicals, stabilizes cell membranes. We have a very careful ingredient selection process, ensuring all our ingredients are sourced from the best quality pharmaceutical or premium grade suppliers available, to ensure optimal quality for you. Nature’s Nurse Rapid Recovery Rub has a great shelf of 4 years – the batch number and best before date is stamped in the crimping seal of each tube.